Environmental Composites, Inc.'s line of miscellaneous stormwater products includes FRP weirs and scum baffles. Each product is corrosion resistant and comes guaranteed for a long, virtually maintenance-free service life. Our pultruded FRP weirs can be made in a variety of configurations and fabricated to each customer’s desired dimensions. Pultruded FRP weirs and scum baffles have more flexibility in notch length, notch height, and overall height when compared to traditional molded weirs and scum baffles. Additional advantages include varying thicknesses and much more strength. Baffle panels are available in 12” and 24” widths to offer flexibility in design and fabrication. Standard panels are pultruded with a polyester resin system which has a UV inhibitor and glass reinforcements are covered by a surfacing veil for enhanced corrosion resistant and additional UV protection. 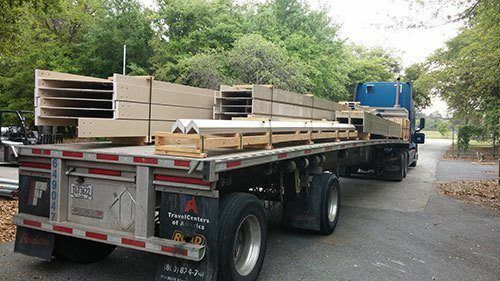 Please contact us today at (352) 343-3449 or reach out to us on our online contact form to learn more about our stormwater products and how we can help fabricate the necessary components for your project.